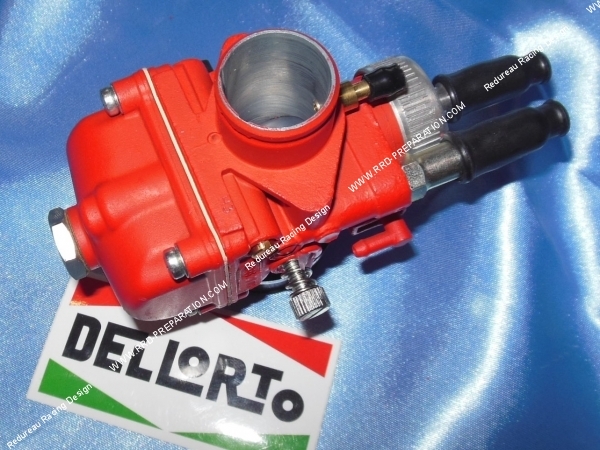 93,93 € 93.93 tax incl. 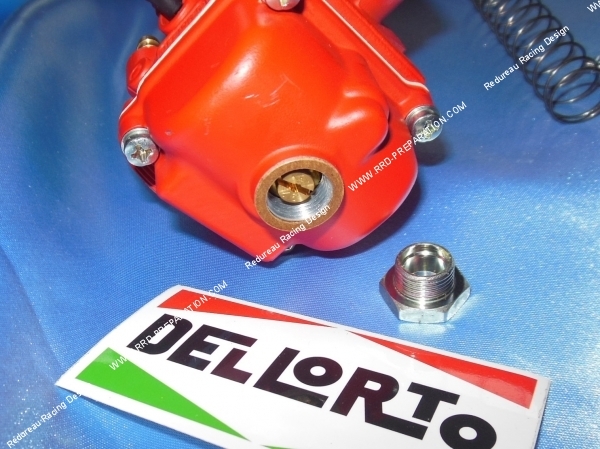 This carburettor DELLORTO PHBG DS Ø21mm RED Racing Edition is a carburettor PHBG reviewed by Italian technicians DELLORTO large brand to achieve ever better performance and a more simple and effective setting. No difference with the Black Edition side of the parameters and performance, only the look changes with a slightly higher price! 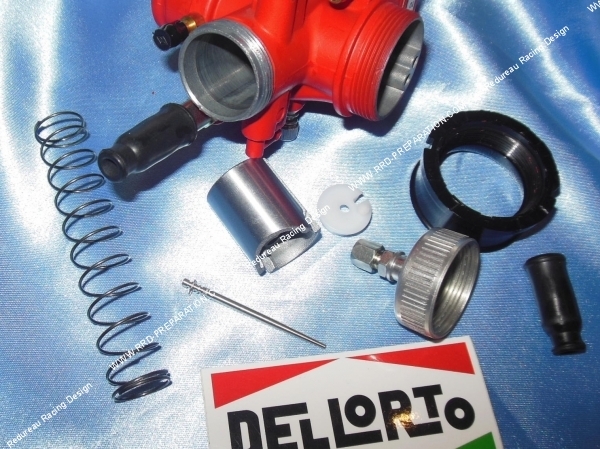 For example, the dismantling of the valve / spring / needle is no longer done by a cover with two screws but by a twist-off aluminum cap and nozzle can be disassembled without removing the tank simply through the tank cap! 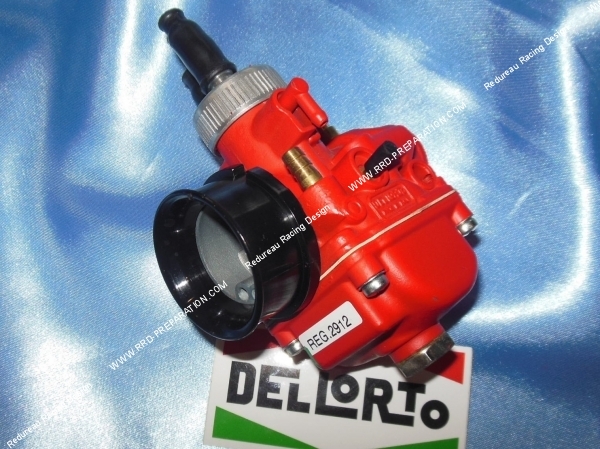 This carburetor is of very good quality and design, specifically intended to guarantee better performance and simplicity in minupulation latter. The needle, float, bushel ... remain identical to normal PHBG. The alloy is her best quality, it also allows machining fewer rebounds better performance by scoring his microphone and form of decision! We regret the absence of finish and dimensional air filter polishing. 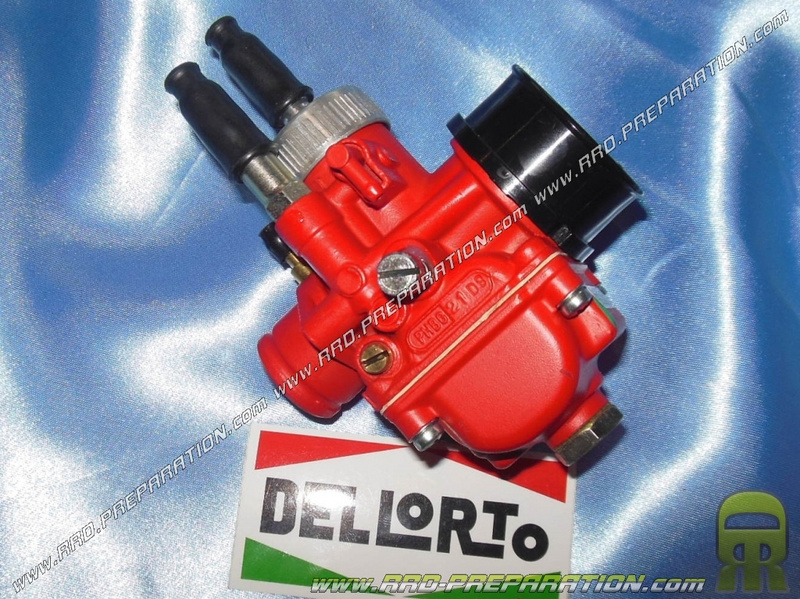 Clearly, this is an excellent carburetor really well made ​​and designed for simple settings, good performance, low consumption all in an aesthetic racing with its deep red color. 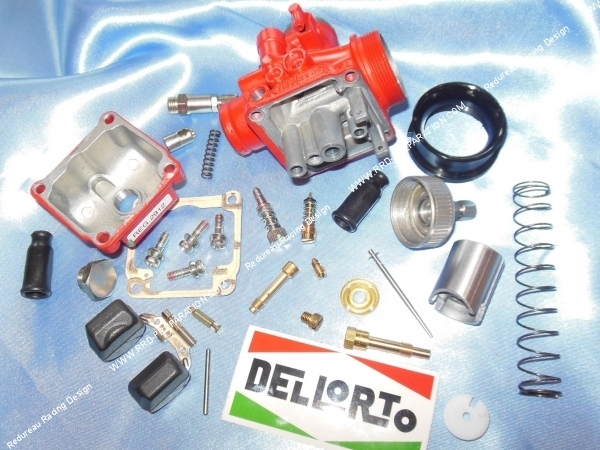 This is a very carburetor used in competition, endurance or road thanks to these various possible and simple settings, the low price of these parts, low power consumption, easy to find repair parts and settings, aesthetics racing. .. A room of choice! 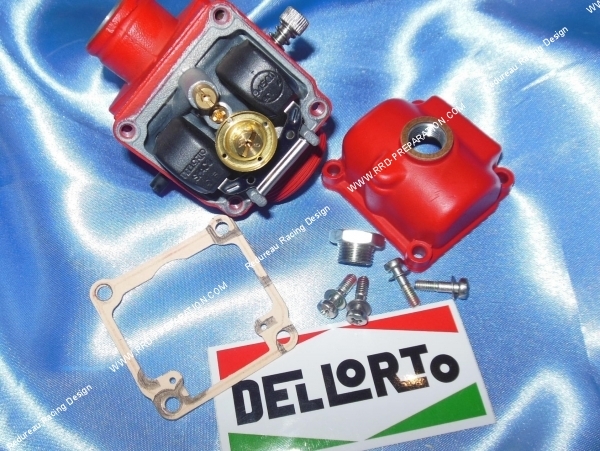 -The Choke cable and the male type carburetor. 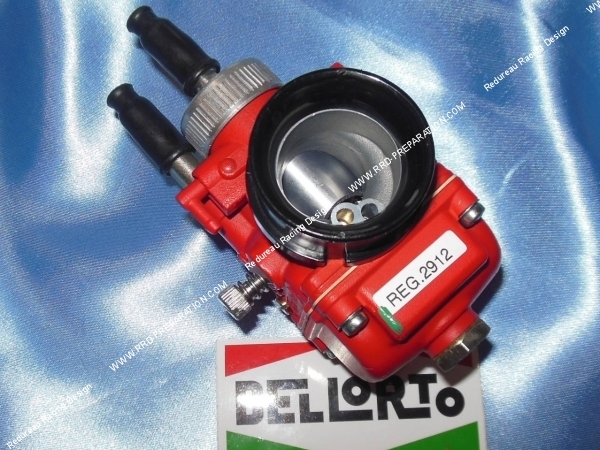 -Diameter Outer side filter: air 32 without cache, and 40 provided with the tulip cover (mounting this tulip is also highly recommended).